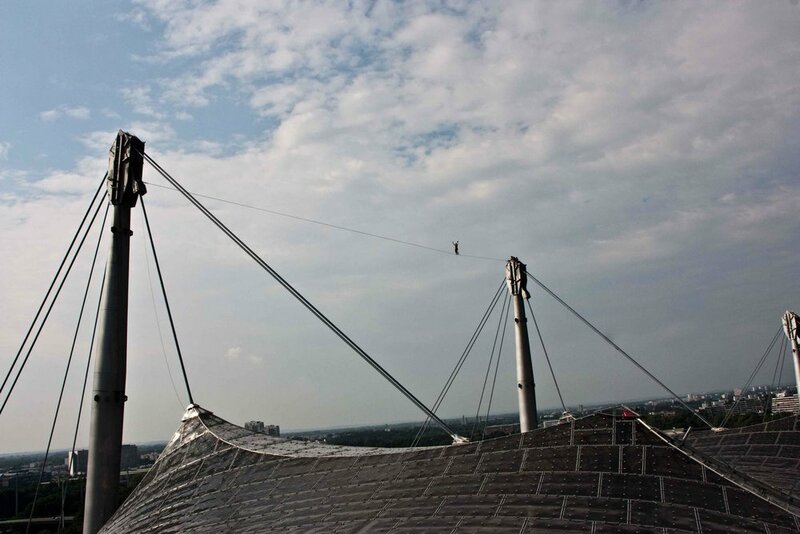 2m² and not more was the space we had for setting up the Olympia highline – and this at a height of 80 metres! As there was a constant wind and rainfall we weren't allowed to make any mistakes. We needed permanent concentration, because no matter where we were standing while setting up the line on top of the pylones, we felt the exposure all the time and knew that one wrong movement could be deadly. It took us two full days to rig the line ... so much to the effort of urbane highlines. As expected we had strong wind also while walking which frightened me a lot. 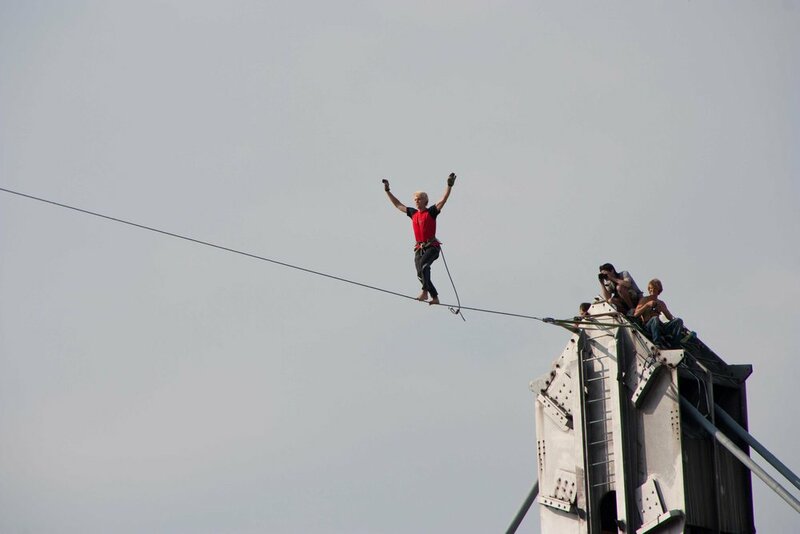 It took long till I managedthe first sitting start on the 61.7 metre long highline. So I was totally surprised that I got to the middle on the first try; ans thus I got back the confidence that I usually have. After that everything was "business as usual" – concentration, step by step, music in the ear... and then finally I reached the other side! The inner tension and the pressure that you make yourself, all that was gone and the feeling of ease afterwards cannot be described in words. The way back was "relaxed" and I made it onsight. In conclusion nice highline and a great experience!